Last weekend we had a 'première' at the Drachten Finals. 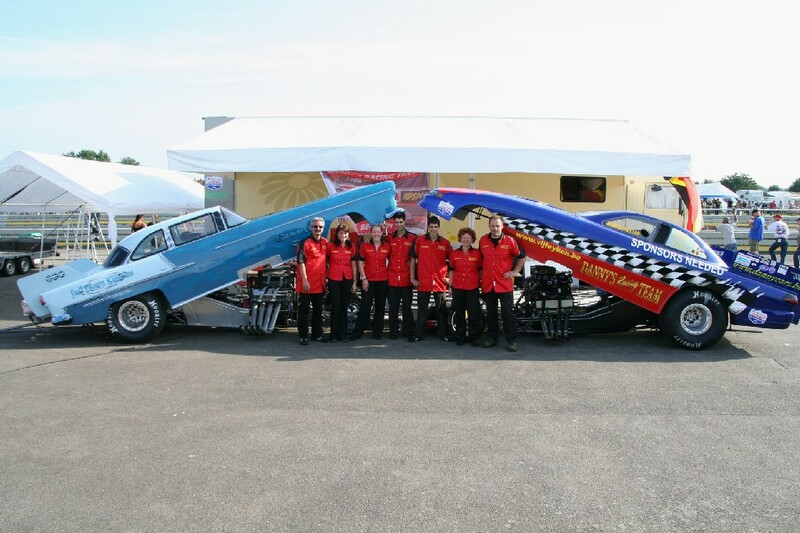 Danny's racing team appeared at the track with two Funny Cars. 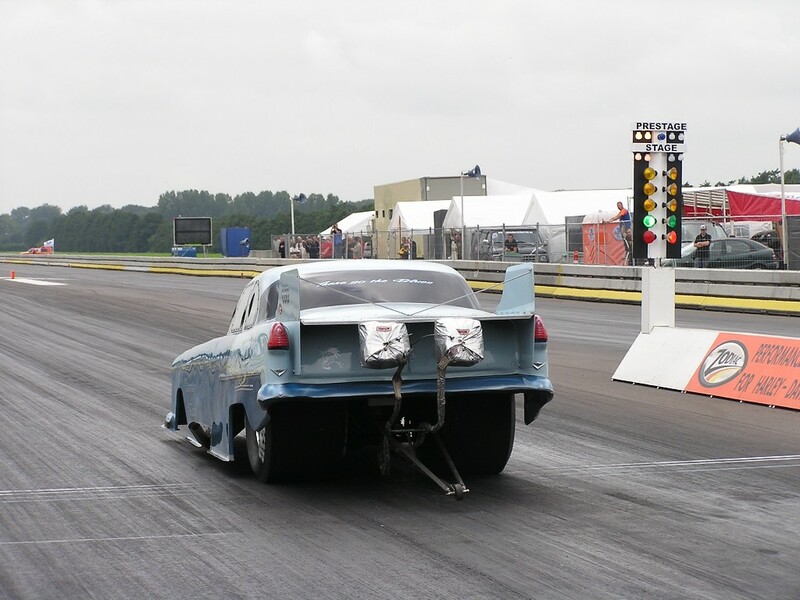 Danny was their with the Top Methanol Funny Car, Sandro (Chief mechanic for the TMFC) brought his newly acquired '55 Chevrolet Bel Air to the track. Friday and Saturday Sandro spend his time going for his license, after the second run on Saturday we had some problems with the transmission but we managed to solve this problem before the end of the day. On Sunday Sandro was able to get trough to the semi finals in Super Pro ET. There the trans problems re-appeared after the burnout so that was it for us, and our fantastic raceweekend. Special thanks to the weather gods and the Drachten organisation, which made this a very successful weekend for us.